We only use the best, and are happy to recommend to our customers the following companies. 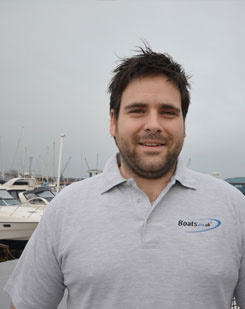 Rightboat.com, launched to boat brokers and buyers by the professional broker community in 2006 as the quickest and easiest place to buy and sell boats on the web. Whether it is your first boat purchase or one of many you have made over the years, you will find a huge selection of new and used boats for sale and we make it fast and simple to find and enquire about boats by make, model, price, size and location and to get in touch with the right broker authorised to sell the boat. Marinestore is a family owned and operated yacht chandlers - a reliable "bricks & mortar" and on-line mail order chandlery with 4 separate retail outlets, each of which contains stock and equipment suitable for the local requirements. Mantsbrite is a principal supplier of electronic equipment into the marine market. Established in 1964, they have a large dealer network all over the UK and Ireland, providing services to the leisure, fishing and commercial sectors of the market. Their Head Office is based in Maldon and has an extensive display area where a comprehensive range of equipment can be seen and hands-on experience can be gained. Through their dealer network they are able to provide the complete package - Sales and Leasing, Installation and Service. Accredited to ISO 9001 since 1994, they aim to provide a quality service which is reflected by our clientele which include The Ministry of Defence, HM Customs & Excise, Maritime & Coastguard Agency, Metropolitan & Essex Police and various Harbour Authorities. Their commitment to quality is also reflected by their membership to the British Marine Federation (BMF) and the British Marine Electronics Association (BMEA). Applelec Yacht is a Mallorca based manufacturer and installer of custom-made luxury yacht signage and part of the award winning British signage specialists Applelec, who have over 25 years experience in the industry. They offer an industry leading selection of illuminated signage from their MaxxLuxx YachtLightWorks range, combining high quality finishes with stylish LED illumination. All options including their non-illuminated range of lettering are available in many styles and finish options, including PVD coated. Alongside their lettering they also produce various acrylic based illuminated projects including, helideck landing rings, floorlights, and steplights. Understanding the importance of durable signage, which maintains an elegant finish, International project director Darren Thrower has provided a professional, discreet and efficient service helping clients achieve their bespoke requirements for the past ten years.